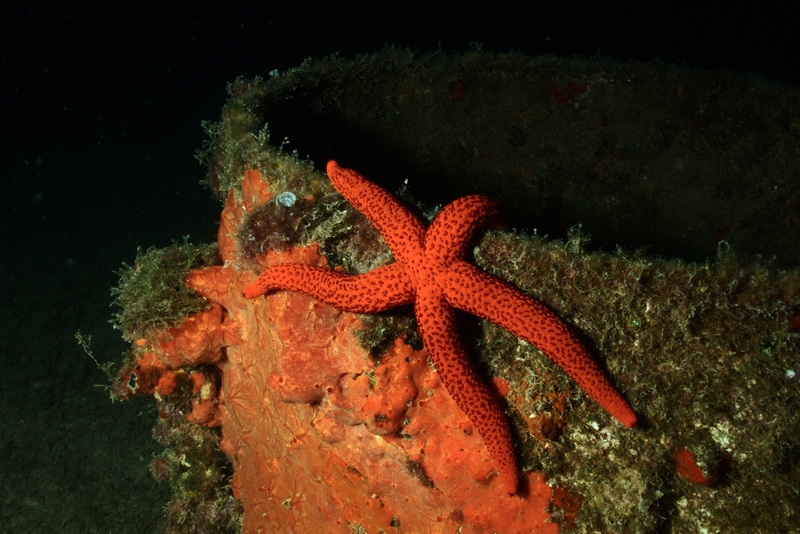 The nice thing about Mediterranean red starfish (Echinaster sepositus) is that they don’t move much and they’re not so macro that one can’t spend a bit of time on a picture. This friendly specimen was on the Um El Faroud, as were many of its brethren. This work is licensed under a Creative Commons Attribution-ShareAlike 4.0 International License. Please attribute Kristaps, the photographer, with a link to kristaps.bsd.lv/photo0053.html.